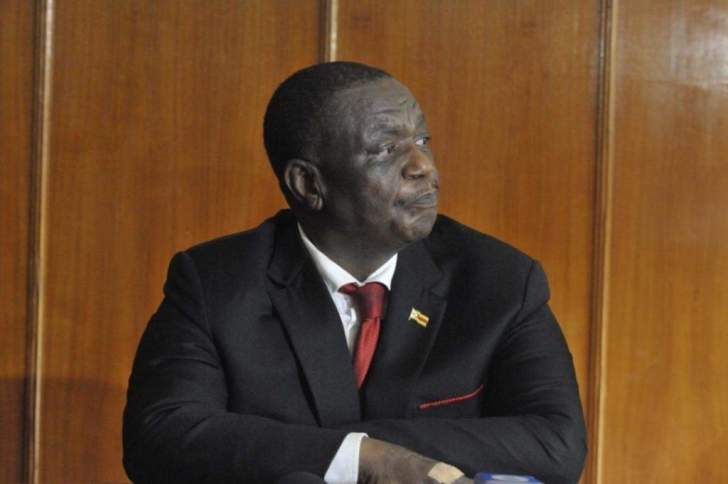 Vice Presidents Constantino Chiwenga was flown by private jet to India on Thursday, accompanied by the Deputy Minister of Health John Mangwiro. Chiwenga was forced to prematurely abandon his treatment in South Africa earlier this week following public protests. After attending a Cabinet meeting on Tuesday where he looked gaunt and pale, he told the state broadcaster ZBC that he was well, and accused the media of wishing him dead. Chiwenga attended Cabinet on Tuesday after which he declared that he was in good health, but a video of him speaking to the ZBC, shared widely on social media, only served to heighten concerns about his health. The retired army general has publicly said he was poisoned in 2017, while leading a military coup that ousted former President Robert Mugabe. A presidential spokesman however said in October last year – following Chiwenga's lengthy treatment in Pretoria – that he was "exhausted" after working for years without leave and "had a bullet lodged in his lungs from the war period" 40 years ago. In recent public appearances, Chiwenga has looked agitated and sweaty. The top of his hands have been patched with bandages, which medical experts said pointed to on-going treatment with injections. On Wednesday, Chiwenga missed a Zanu PF politburo meeting in the morning. Later in the day when Mnangagwa met his former election rivals for talks aimed at defusing political tensions and building a united front in a desperate push to revive the economy, Chiwenga was conspicuous by his absence. Mohadi attended. Mnangagwa was forced to cancel an appearance at a church-organised breakfast prayer on Thurday, attended by main opposition rival Nelson Chamisa, at which the two men were being brought together for the first time since the Zanu PF leader's disputed election victory in July last year. Owing to the absence of his deputies, Mnangagwa was forced to send Defence Minister Oppah Muchinguri to represent him. The latest health troubles afflicting the country's top leadership, and President Mnangagwa's growing predilection for foreign travel, could not have come at a worse moment with the country's economy tanking as international condemnation of the government's handling of fuel protests last month rings out of Western capitals. Ahead of his Ethiopian trip, Mnangagwa sent emissaries around Africa to give the government's version of a brutal crackdown on protests by security forces which has left at least 17 people dead. The envoys have spread out to countries like Egypt, Kenya, Zambia and South Africa as Mnangagwa seeks to pre-empt any criticism in Addis Ababa. The government turned down requests for a comment.